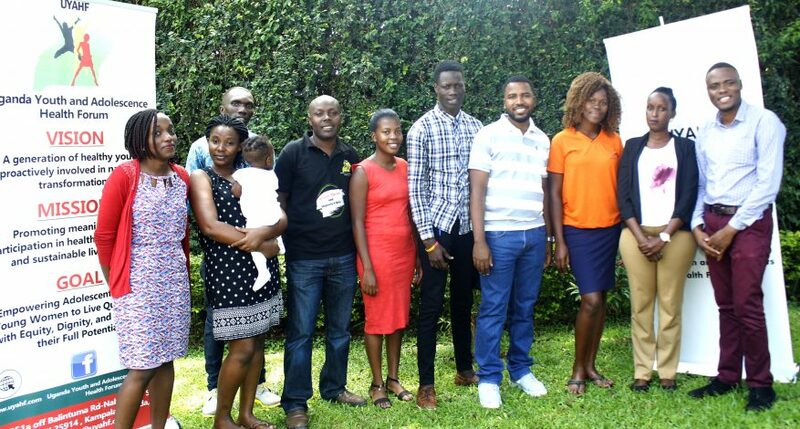 HomeBlogUncategorizedThe 2019 UYAHF retreat : what an event this was! 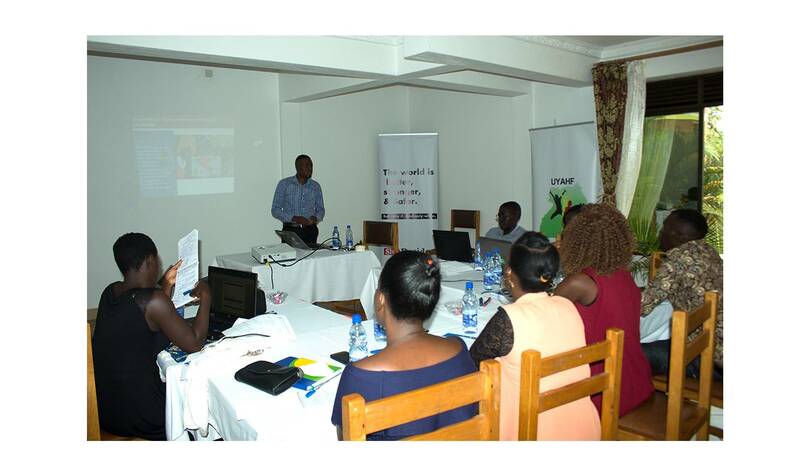 On 13th Jan 2019, the Uganda Youth and Adolescent Forum (UYAHF) staff had a four-day retreat at Hibis hotel in Entebbe; a Kampala suburb. The retreat was a fun-filled event intended, among other things; to enhance and build the team’s capacity, welcoming of new staff and the entire Uganda Youth and Adolescent Forum (UYAHF) into the New Year, We also reflected on our previous year’s performance, and develop a work plan for the New Year. Several narratives including UYAHF’s historical journey, and the million lives it has impacted, locally and internationally in such a short time characterised the event. “Seeing vulnerable young girls who get pregnant before age, and eventually dropout out of school, as others struggle with menstrual challenges, reproductive health concerns was pathetically challenging, it is this gap that drives UYAHF’S commitment. For us, it’s a brawl we are determined to win”. Patrick Mwesigye, the founder and C.E.O shared with the staff before he proceeded to share the Vision, Mission, Values and goals of this vibrant organisation. Mr. Patrick Mwesigye, the team leader talking to the staff during the retreat. Seeing the progress of the SRH policy is one of his major recounts of 2018. “We managed to successfully push the Sexual and Reproductive Health Policy, which is now pending presentation to Cabinet. All this is thanks to the small but vibrant team we are!” Patrick added. Throughout the Retreat, the participants were engaged in pensive formulation of an annual work plan. This is an elaborate and systematic plan of actions, we must collectively take to achieve our vision, mission and mandate. Sam Ssenfuka, UYAHF’s project senior consultant effectively equipped the staff with a broader approach to achieving our goals. He also led the team in elaborate and systematic planning that must be followed in order for us to achieve our vision, mission and mandate. This year, we have four main program areas that we are mandated to manage. Mr Ssenfuka urged every participant to gracefully follow this road map. “It is useless to develop a work plan, and shelve it. 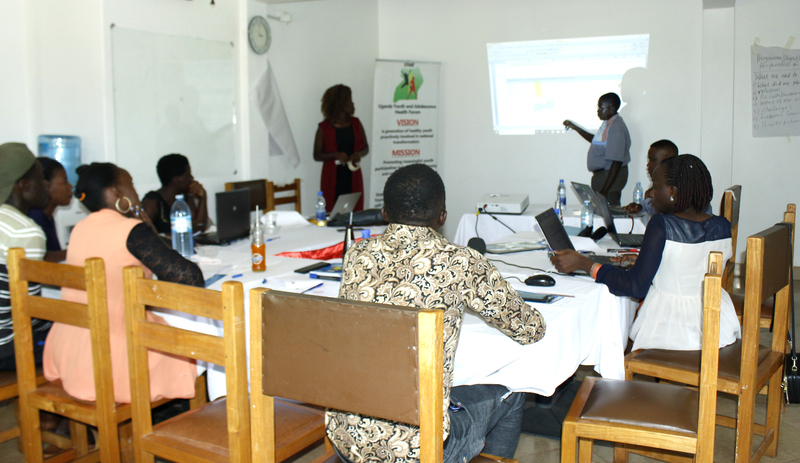 The work plan acts like a guiding tool, which helps implementers assess project progress against set targets” says Mr. Ssenfuka.